had finally arrived, but the start of this journey of a lifetime had already begun badly. Journeying from the metropole – London – to the once colonial periphery – Nairobi – I had made it, but my suitcase hadn’t. In it were the hand-written notes from the first chapter of my Ph.D. thesis and a copy of the book that that chapter was based on: Roger King’s A Girl from Zanzibar, published in 2002 and set in the 1980s. As I explained to the travel insurance company, no, I hadn’t typed up any of those notes and, no, I couldn’t reconstruct a year’s worth of work from memory. Perhaps it was the perfect postcolonial metaphor – the loss of a suitcase full of words between the empire writing back and a subaltern trying to speak. There was someone I was here to see, and I could not disappoint her. Even though I was only five when I had made my promise to her, I still remembered. The time had come to make good on that promise. So, I reconciled myself to letting go of my baggage. My mother had waited some forty years to make this journey back to the place where she was born, had waited for me to take her there so she could show me where she had grown up. When my grandfather had decided to return to Goa, knowing that he didn’t have much time ahead of him, he took his youngest daughter with him and away from the place that, till then, had been the only home she’d known. The Swahili word for angel, Malaika, came to the East African coast by way of Arabs. It was the Arabs who had traveled the sea routes between Africa and the Indies before the Europeans, and who had given this knowledge of the waters to the Portuguese. As my mother’s song found its way to my sister and I in Kuwait, the place where we were born, it carried with it her longing for the land where she had laid her own mother to rest. Even as her dementia continues to advance, it is these memories it cannot take away from her. And, so, with my work lost, I decided there was nothing left to do but begin afresh. Because A Girl from Zanzibar is set in East Africa, in addition to Thatcherite England and the United States (so much like my family’s own trajectory), surely, I told myself, I would find a copy of the novel on the continent. With my mother and her other siblings, my cousins and I traveled through Mombasa to see the places where our parents had grown up. Together, we paid our respects at the last resting place of our grandmother. And at the famed lighthouse overlooking the ocean, we were regaled with remembrances from our parents’ youth. In between, I would stop by bookshops and enquire if they had the novel I needed. No one had heard of it. There was one last hope. I was certain that I would find the book in Zanzibar. On the day we were to fly to the island, I walked through the metal detector first at the airport in Nairobi, my mother following quickly behind. The officer who waved me through with a friendly smile halted my mother’s progress. He hadn’t thought we were traveling together, I realized. “She’s my mom,” I said, ignoring how superfluous those words sounded to me. The African official looked from the racially ambiguous woman to her racially ambiguous son as we stood on either side of border control. The joke had been made many times about how I didn’t look like anyone in the family. Dad’s British friends would quip, “Perhaps the Kuwaiti milkman’s son?” and I, too young to understand what they meant, would chime in: “They don’t deliver milk to the door in Kuwait like they do in England.” Another family friend offered the possibility that my mother had returned home from the hospital with the wrong child. But even as I wondered if I’d been adopted, I knew I wasn’t Arab from the racial taunts on the playground and being followed by security in shops. “Your blood?” Her eyes fled inwards like small animals diving back into their holes. At the age of 25, Marcella learns from her adoptive mother of her biological parents’ deaths and of her Arabness for the first time. Her body literally becomes a map of Zanzibar’s colonial, cultural, and racial legacies past. [the English] never owned Zanzibar, just made it a Protectorate, protected it for the Omani Arab rulers … According to the diary of a Zanzibar Arab princess who I like to consider my distant relation (… [from] 1867 …), her father, the sultan, had seventy-five concubines, including all of the shades of Africa, Arabia, Persia and Europe … My Zanzibar mother could have been anything. Then, before the Arab sultanate there were the Turks and before that the Portuguese – who I’ve got anyway on my Goan side. It’s not hard to miss the Orientalist tone of Marcella’s self-investigation, perhaps a reverberation of British author Roger King’s own life of “traveling and working in Africa and Asia, usually for UN agencies,” as the biography on his website informs us. a fit capital for the Dark Continent. And while one might feel a perverse allure to such a place, or think it revelatory of the repression of the colonial mind that came up with those words, my first sight of the shimmering island below, set in its aquamarine and emerald ocean, couldn’t be more different from the darkness of such a description. To challenge the European view of Zanzibar found in the compendium, Marcella’s research uncovers an alternate vision of her birthplace, whose name, she finds, is derived from “Zayn Za’l Barr, Arabic for, ‘fair is the land.’ We Arabs had brought poetry to the name, feeling, perhaps, that now it had been made part of the Omani sultanate, it deserved a more gorgeous history,” Marcella muses. But the words of the rhapsody also tussle with the possibility of release. There was nothing retrograde about Mercury’s weighing in on my predicament as I held in abeyance what it might mean to reconstruct a whole chapter of my thesis. Instead, I let myself wonder what it would have been like if Marcella, had she been real, would have known a chap called Farrokh Bulsara. Both of them minorities with connections to South Asia, both born on the island of Zanzibar and destined for lives in England, both racially ambiguous and misfits. In her prison-bound study of Zanzibar, Marcella unearths the revelation that “[t]he Zoroastrian Persians ruled [the island] for a time, and some Zanzibaris still claim their ancestry.” I decide that Marcella and Farrokh would definitely have known one another and would have bonded over their attempts to find a connection with the land they were born to but were not from. Marcella would tell Farrokh that she was half-Arab and that her people once ruled this land, and Farrokh would tell Marcella that he was Zoroastrian or Parsi, and his people, too, had held sway over the region. And after basking in the glorious pasts of their heritage, the mood would turn serious. Their guard down, they’d let one another in on the most intimate of their secrets and desires. Marcella would confide that she hoped to be independently wealthy one day, and Farrokh would tell her that he wanted to be a rock star. Then, they’d lose touch because his parents would send him to St. Peter’s – a boarding school in India (an institution that I myself was enrolled in by my parents). But in London, they’d find one another quite by chance one day while riding the tube. In disbelief they’d call out each other’s names and hold one another in a long embrace, oblivious to the reactions of their fellow passengers. And when they’d let go, he’d ask her if she’d struck it rich. She’d smile coyly, deflecting the question, and ask him how the music career was coming along. “I’m playing in Camden tonight. You should come! At the door, tell them you’re there to see Freddie,” he beams, handing her a flier. “Freddie? Who’s that?” Marcella will enquire, an eyebrow raised quizzically. “Me, that’s me,” he’ll shout out over the din of the train coming to a halt. “My name’s Freddie Mercury now!” he’ll laugh as he kisses her goodbye. And that would be the last time they’d see one another. 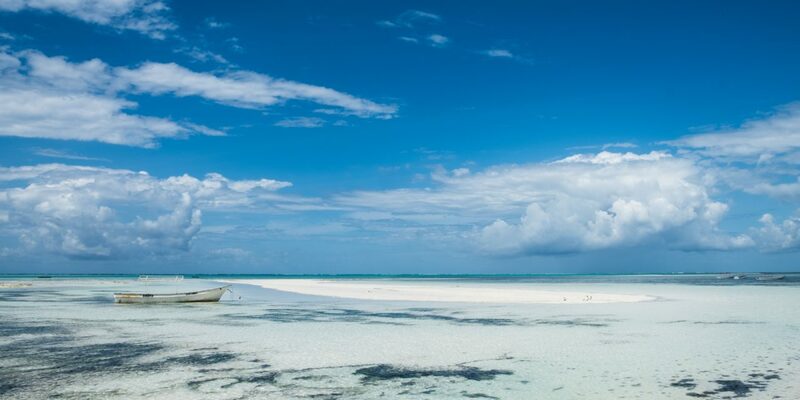 As the sun sets, the blindingly white sands of the Zanzibari beach finally begin to cool down. My mother and I settle down in a shady spot and look out at the ocean upon which our ancestors had journeyed between continents, as did our colonizers. A trip my mother had herself taken, by ship, with her mother, between British East Africa and Portuguese India. These were also the waters on which African slaves had made their forced journeys. “Slaves and cloves. Slaves and cloves,” a wily English associate of Marcella’s utters lasciviously upon hearing that she is from Zanzibar. Catching a faraway look on her face, one I will get used to over the years as her memory loss grows more intense, I break into my mother’s reverie. “How does it feel to be in Africa again, Mom?” I ask as I lean into her. She smiles and, for a moment, looks like my grandmother did in the only photograph I’ve seen of her. Mercury and Marcella have carried me through this familial peregrination in search of my roots – in the lyrics of a song, the quest for a lost book, and a journey back to a home that once was. I think about my mother whose mind will only now allow her to recall the past. A time may come when she won’t know who I am. I think of the recovery of my possessions. A year later, I would entirely reconstruct the thesis chapter based on the novel, rendering useless the notes in the suitcase. And I think about whether we ever fully recover anything even when we find what was. Benedito Ferrão has lived and worked in Kuwait, India, the United States, England, and Australia. A writer and academic, he is currently an Assistant Professor of English and Asian & Pacific Islander American Studies at The College of William and Mary. In 2017-18, he curated the art exhibition Goa/Portugal/Mozambique: The Many Lives of Vamona Navelcar(Fundação Oriente Gallery, Goa), and edited a book of the same title to accompany this retrospective of Navelcar’s art. His fiction and non-fiction appear in Riksha, The Good Men Project, Mizna, India Currents, and other publications.